On October 13th 2001 Oasis played the first of two nights at the Barrowlands in Glasgow, Scotland. It was part of the '10 Years Of Noise & Confusion' tour. The gig was broadcast a day later on Sky Box Office, watch it below. 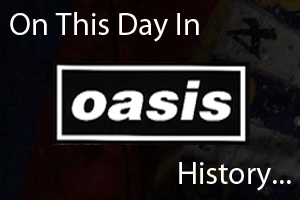 On October 13th 2008 Oasis played the first of two nights at the NIA in Birmingham, England.